Messerschmitt Me 410A-2/U4 I./KG26 (3U+Z) W.Nr10157 BK5 armed Me410 used by I./ZG26 Konigsberg airfield Summer 1944. Profile 00: This profile is of a Messerschmitt Me 410B-1/U4 Hornisse belonging to II./ZG26 coded (3U+CC) and was Werk Nummer 420430 was stationed Koenigsberg in Germany 1944. This aircraft 3U+CC (cn 420430) was captured complete and flew with the RAF's assessment unit at Farnborough after WWII as TF209. Its now with the Aerospace Museum at RAF Cosford, England. 'Hornisse' means 'Hornet' and looks somewhat like the Hornet derivative of the DH Mosquito. Photo 01: This photo taken during the war shows Messerschmitt Me 410B-1/U4 Hornisse belonging to II./ZG26 coded (3U+CC) and was Werk Nummer 420430 was stationed Koenigsberg in Germany 1944. This aircraft 3U+CC (cn 420430) was captured complete and flew with the RAF's assessment unit at Farnborough after WWII as TF209. Its now with the Aerospace Museum at RAF Cosford, England. Profile 00: Me 210C-2 belonging to 3./ZG26 (Zerstoerergeschwader), coded (3U+UL) based in Sicily during 1943. Profile 00: Messerschmitt Me 410B-2/U4 Hornisse belonging to 5./ZG26 (3U+CN) equipped 5 cm BK5 Cannon Konigsberg-Neumark 1944. Note the aircraft in the background has the 'C' reversed. Photo 00: Messerschmitt Me 410B-2/U4 Hornisse belonging to 5./ZG26 (3U+BN) equipped 5 cm BK5 Cannon Konigsberg-Neumark 1944. 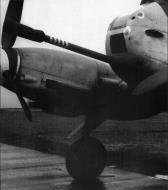 Photo 01: Me 410A-1 of 2nd Group ZG26 (Zerstoerergeschwader), Hildesheim, 1944-1945. RLM 82/81/76. Profile 00: Me 410A-1 of 2nd Group ZG26 (Zerstoerergeschwader), W.Nr. 10117 Hildesheim, 1944-1945. RLM 82/81/76. Profile 00: This profile is of a Messerschmitt Me 410B-2/U4 Hornisse belonging to 6./ZG26 coded (3U+VP) and was stationed in Germany 1944. Remarks: KIA 22 February, 1944 in aerial combat in Wk# 420410 near Nordhausen/Harz. WIA 14 February, 1942 by Soviet ground fire. Wounded again on 27 March, 1942, in his 110, when he was hit by hostile fire in the Rzhev Sector. 350 missions. 25 victories in the West. One known victory, a P-38 'FQ-5' at Berge, south of Löningen, on 13 November, 1943. One of his last victories, a P-38 by Ettenbrock on 10 February, 1944. A triple victory on 11 February, 1944; three P-38's in the Oberstein area. An additional 26 AC and 24 Tanks destroyed on the ground. Several bomber credits, exact number unknown. He briefly commanded the JG-1 Test Unit, experimenting with mortar-carrying Fw 190's. Their weight made them easy prey for Allied fighters, and the program was abolished. Before taking command of II/ZG-26, he was Kdr Erprobungskommando (Test Unit) 25. He was the highest scoring destroyer pilot. Alternate spelling, Traut.